The Confucius Institute (WSU-CI) has extended its Chinese language and cultural programming to the university’s satellite campus at Schoolcraft College in Livonia. The Schoolcraft campus is part of the Office of Educational Outreach and International Programs, and the CI is housed in the College of Liberal Arts and Sciences. The WSU-CI staff is in Wayne State’s Schoolcraft office, Room 331 of the Jeffress Center, from 11 a.m. to 3 p.m. Tuesdays. Schoolcraft and Wayne State students, as well as community members, are welcome to make appointments to discuss relevant opportunities, programs, events or to volunteer for future programs. The Confucius Café, a weekly Chinese lecture and luncheon series, takes place at 1:15 p.m. Tuesdays in the Jeffress Center, Room 321. Invited speakers share their expertise on aspects of the country and its culture, with Chinese tea and a buffet lunch provided. 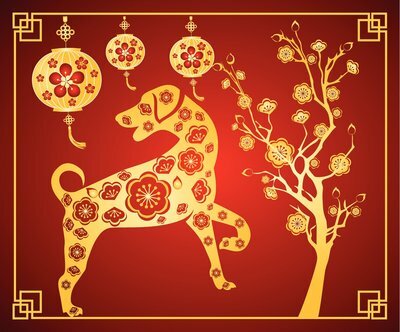 A Chinese New Year celebration, including food and entertainment, on Feb. 13 will mark the beginning of the Year of the Dog. It will be in the DiPonio Room at Schoolcraft’s VisTaTech Center. The annual K-12 Chinese Zodiac Animal Art Contest is Feb. 27 at Schoolcraft’s VisTaTech Center. From 3-6 p.m., the posters, t-shirts, and 3-D art projects commemorating the Chinese Year of the Dog by Detroit-area students will be on display, with awards presented in four categories: Grades K-2, 3-5, 6-8 and 9-12. The 10th annual Michigan China Quiz Bowl is March 3 for non-native, non-heritage middle and high school students to test their knowledge of Chinese language and culture. Championship rounds at the VisTaTech Center Auditorium begin at 1 p.m. and are open to the public. The Summer Service Learning Program in Rural China offers students and community members the chance to spend three weeks teaching English in rural and remote sites throughout the country. For more information on applying, contact WSU-CI Director John Brender at brenderj@wayne.edu or (313) 577-3035. Applications are due by March 20. A Chinese Cooking Contest will take place April 3 at the VisTaTech Center, where teams will compete as they prepare top-rate Chinese dishes for a panel of discriminating judges. Onlookers can sample the cuisine and judge for themselves. For more information about WSU-CI events, visit www.clas.wayne.edu/ci.